Mistakes happen to the best of us, and according to a cool poster and shirt from Fab.com, we should make mistakes more often, as they sometimes lead to better outcomes. 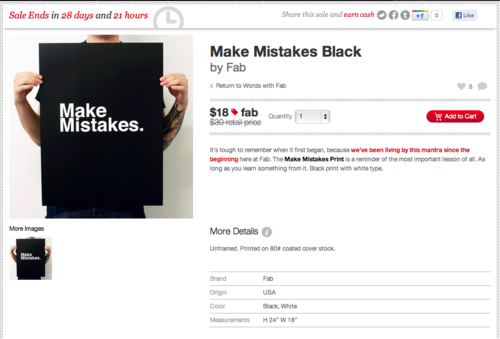 with @fab ripping off @Mike_FTW, I’m seriously reconsidering purchasing anything from there again. For shame. 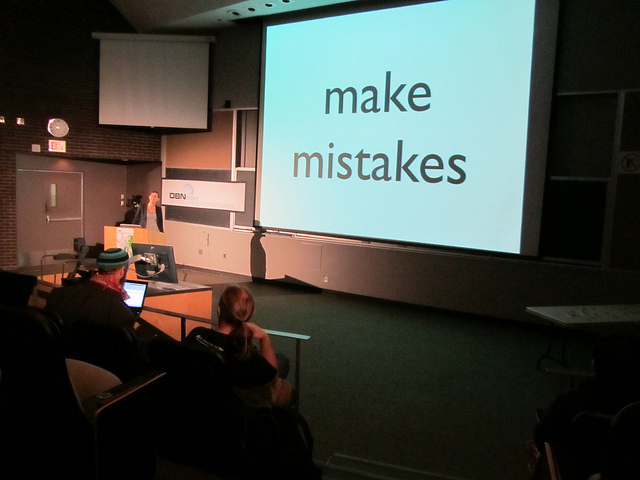 At Fab we believe this make mistakes stuff; but learn from them and adjust quickly. Yo Mike! Here’s what we’re going to do. Let me know your favorite charity. 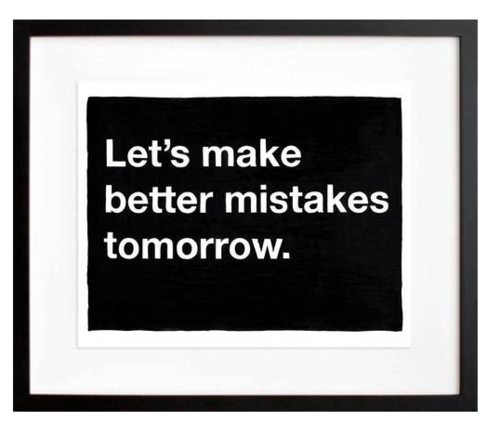 For every $1 of profits from selling our Make Mistakes poster or tees on Fab, we’ll donate $2 to your favorite charity. We’re not in this for the money. 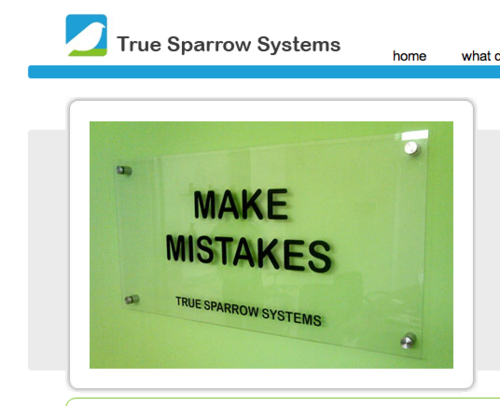 We believe this Make Mistakes stuff. We live it every day here. It’s nice to see a Twitter spat end in something that benefits others.